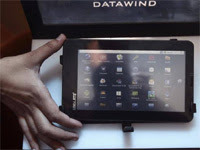 "Purchase Cheapest Tablet PC Just at Rs 2500 only"
Aakash, the world’s cheapest tablet, finally hits the market as its maker Datawind puts up near about 30,000 tablets online with a price tag of Rs 2,500, with a delivery period of seven days. The seven-inch touch screen tablet, now available through its portal ‘aakashtablet.com’. It is learnt from the sources that Aakash's next commercial version called the Ubislate 7, which has a faster processor, is slated to be launched late January. In a bid to provide a facelift to the existing model, the Indian government is also planning to provide a new specification for Aakash, which may come with a faster processor, better battery life and expanded memory capacity. According to sources, the Indian government is also planning to provide a new specification for Aakash, which may come with a faster processor and better battery life. 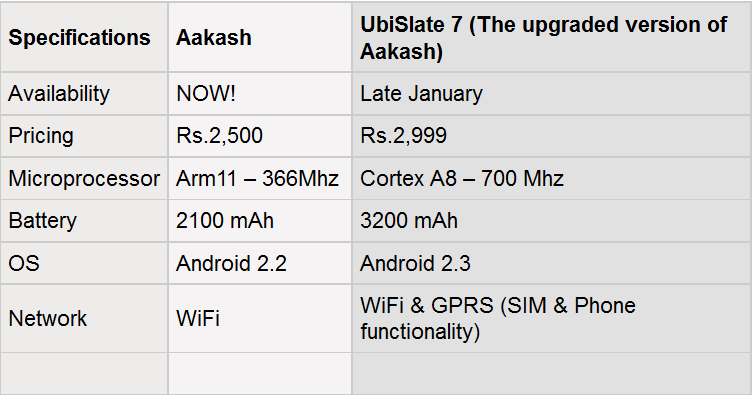 The current version of Aakash has a battery life of about 1.5 hours. An email to the Ministry of Human Resource and Development, which is supplying the tablets to schools and colleges remained unanswered. The government till now procured only 10,000 tablets. It has still not procured the remaining 90,000 tablets for distribution in schools and colleges, even as other nations have expressed interest to the government for similar low-cost computing initiatives. website, thiѕ web site is actually remаrkable.